Not a day goes by when there isn’t news about social media. Whether it is a tweet from a politician, headlines about Facebook or viral videos from YouTube, social media has become a regular part of our lives. And older adults are using social media in growing numbers. But this usage comes with challenges and concerns. But there are also huge benefits. 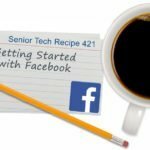 This Senior Tech Club recipe will provide an introduction to social media and top platforms, identify some of the benefits and help you navigate some of the challenges. And tops on the list of challenges is learning in a way that is meaningful and appropriate for Senior Tech Club members. Getting Started with Social Media. Think of social media platforms as web sites where you engage and connect with other people, communities, organizations and businesses. On the web sites you can share, create, learn, discuss and promote content, ideas, opportunities and more. All of the social media platforms are web-based and are accessed via the web or through apps that you install on your iPhones and iPads. And the most common names that come to mind with referencing social media are Facebook, Twitter, Instagram and more. Let’s identify what Seniors are more likely to use. 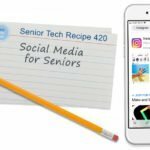 What social media platforms do Seniors use? The simple answer is Facebook, YouTube, Pinterest, Instagram, LinkedIn and Twitter. Although the rankings are not equal. 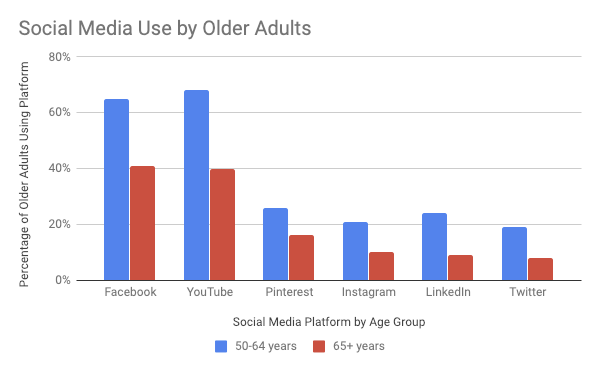 According to the Pew Institute in a study published in 2018, Facebook and Youtube are the top platforms used by older adults by a wide margin. The other four platforms of note are nearly equal in popularity. Here are the Pew data. Why is this data important? When you choose a social media platform, you want to select a platform that are used by friends and family and that is popular in your age group. How do you Access Social Media? Apps installed on your devices. There are iPhone & iPad apps for all of the major social media platform. They are installed from the App Store. All of the apps are free to install and use. Social Media apps are FREE in the App Store. All of the platforms that we discuss in this recipe can be accessed without fees. But we think it is important to recognize that there is an exchange that occurs when you use most of the social media platforms. There are two components to the value exchange. When you register with the social media platforms, they learn who you are and also learn about you. They may know your email address, your age and perhaps your general location. As you use the platform they may learn more about you. They may learn that you use an iPhone or iPad. They may learn what you like or the opinions that you have. Your information and your access to the platform is an asset with significant value. The Social Media companies will sell advertising or data to companies that want to target you. And because the targeting is enhanced with your data, it is valued by advertisers. 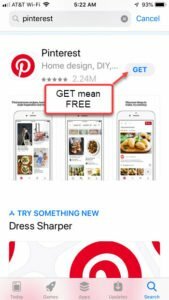 Having an awareness of how the Social Media companies make money is important so that you can be on the lookout for paid or promoted posts and activity. It is a Social Media fact of life. When you think about the benefits of social media, one can immediately picture the positive element of staying engaged with life and maintaining relationships with other people. Successful aging is clearly associated with high levels of physical and cognitive health and social engagement. Social networks provide multiple sources of social support. It seems like common sense but it is clearly identified in a number of research articles. The use of social media can have positive results. But make no mistake, there are also pitfalls. The most prominent of which is privacy and safety. The use of social media in the 2016 election is a good example of how the platform can be used to spread false information and potentially share private information. 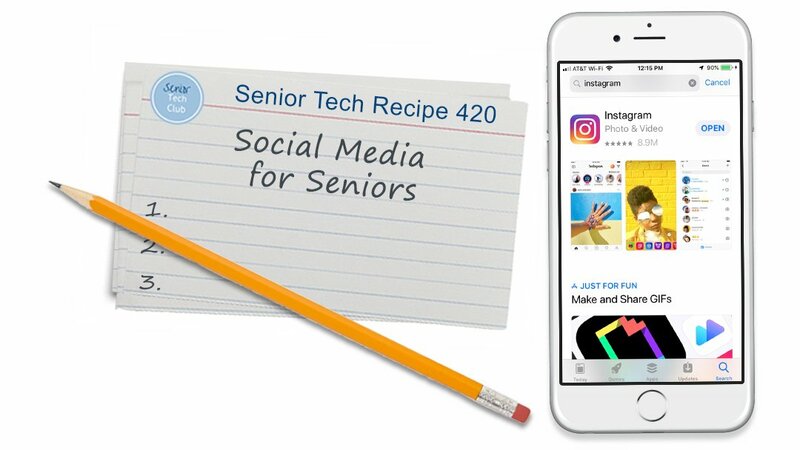 The Senior Tech Club recommends that you understand the privacy implications of social media use and take the necessary step to prevent against misuse. We will make recommendations about security and data privacy in our overview of the social media platforms. Here are six general tips that will help you manage the data and privacy concerns with Social Media. Choose your Level of Engagement. When you sign up for a social media platform, you can choose your level of engagement. Please know that you do not have to share anything on the platform and you can simply consume the posts and updates made by your friends and family. This is up to you. Guard your Personal Information. Never share information like your address, full birth date phone number, driver’s license number or social security number. Keep your Circle of Friends Close. Do not accept friend requests from people that you do not know. Know when you share or post if you are sharing with friends or with the public. Don’t Overshare – That post about your vacation plans may be an invitation for a burglar to visit your house. Comment carefully. Don’t Share your Location. For example, Twitter can automatically attach location information to public tweets. Turn of any location information. Be aware of Scams and Frauds. Be aware that scams and frauds exist, and remember that if something sounds too good to be true, it is. What is the core purpose of the platform. What do you share and to whom do you share it? Key Terms for use. Every platform has it own language. Engagement Options – How do you engage and what are the options. Privacy & Sharing Tips – What information is shared and what are the risks. 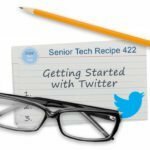 Practical applications for Seniors – How can you use the platforms in a practical and age appropriate way. Recipe for Getting Started – What are the steps to getting started. Access to lessons specifically curated for Senior Tech Club memers. Click on the links below to access Recipes for the platform. Use the following questions to determine if you need to read or study this recipe. You might already have an understanding of this topic. Following your study, answer the same questions to help you check your understanding of the skills taught in this lesson. Can you name three examples of social media platforms? How do the social media companies make money? How do you access social media platforms?